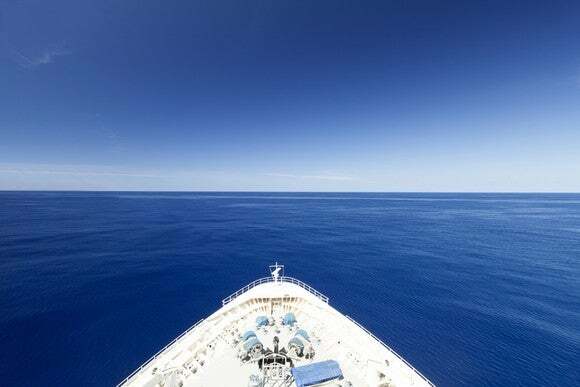 To get a sense of Carnival’s overall condition as of the first half of the year, let’s delve into both the guidance revision and two other key points management communicated during the earnings conference call on Monday. And yet the company dialed back its full-year diluted adjusted EPS guidance, from a range stated in March of $4.20 to $4.40 to a new band of between $4.15 and $4.25. Management assigned two specific factors to the revision: rising fuel costs and a stronger U.S. dollar. Both have become more pertinent influences since the company’s last outlook guidance in March. The company attributed an impact of $0.19 to the combination of fuel and currency. It’s worth observing that neither of these factors is within Carnival’s control. If we back out the fuel and currency impacts, the company’s outlook on operational factors which it can influence hasn’t changed at all. In fact, this revision simply resets guidance very close to the original full-year guidance number, issued in December 2017, of between $4.00 and $4.30 — but with a higher lower bound. …[W]hen we do our guidance — I think we’ve said this many times before — we basically take the spot price of fuel today as we see it, and we use that price going forward through the balance of the year and in any forecast. We’re not trying to make a projection for the fuel price. As Arnold [Donald] said, we don’t know where it’s going, but we try to use to use the current existing fuel price. CFO Bernstein’s point quoted above runs along the same lines, with a subtle implication for earnings guidance. If Carnival had tried to project the price of fuel for the remainder of the year in March, it could have easily enough issued an outlook incorporating the price increases of the last three months — if it had foreseen them. But this is just the type of fuel forecasting Carnival doesn’t believe in or want to engage in. Thus, the cruise line’s guidance in any given quarter is based on the latest fuel pricing, and subject to change. As a shareholder, if you grasp this variability due to an external constraint, you might not share the herd’s negative interpretation of Carnival’s revision to its full-year EPS. We don’t have a problem right now in terms of looking ahead, with booking curves or yields or any of that. So, we know there’s concern about capacity. There’s actually not even any empirical evidence to show a correlation between capacity and yield; it doesn’t exist. More importantly, we’re here to grow earnings and further improve our return on investment capital. That’s exactly what we’ve been doing, and it’s what we’re going to do. Carnival expects to take delivery of 18 new ships between 2018 and 2023; with a current fleet total of 103 ships, this will represent a significant addition to passenger capacity. As Donald alluded to above, some investors fret that a wave of new ships that extends the company’s available cruise days by a double-digit percentage may decrease net yields. Rather than focus on the number of vessels added to its global mix, Carnival wants its shareholders to appreciate return on invested capital (ROIC) on the entire fleet. Currently at 8.5%, Carnival’s ROIC has been trending toward a respectable double-digit reading for the last few years; it’s a sign that the company has managed its capital resources wisely up to this point, and will likely continue to do so.